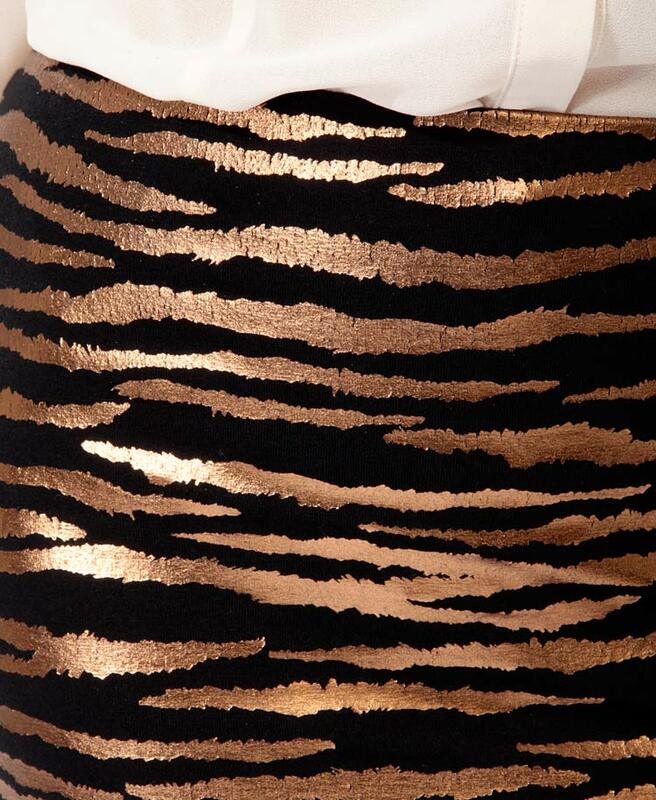 A short bodycon skirt featuring a metallic zebra pattern. Elasticized waistline. Finished hemline. Unlined. Knit. Lightweight.